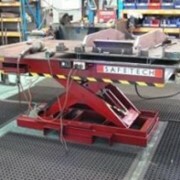 By equipping a lift table with a number of scissor arms assembled vertically on top of each other, the user gets access to a higher height range compared to what is possible with single scissors. 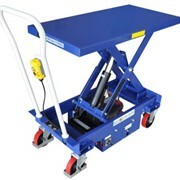 EdmoLift's vertical double and triple scissor lifts can be used as working platforms, pallet stackers, work tables, lifts and lifts for disabled persons, to name a few applications. 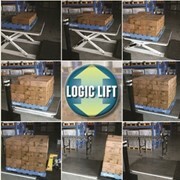 Compared to a traditional lift solution, EdmoLift's vertical double and triple scissor lifts provide a rational and cost effective solution. 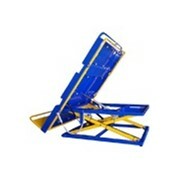 With a variety of designs and models, load capacity of between 200 kilo and 5 metric tons and a lift range from 1170 mm to 5900mm, we over a very large selection. 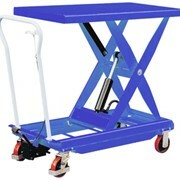 The lift tables are available in different colours, with a range of different accessories or control units - all tailored to the needs and requirements of the customer. 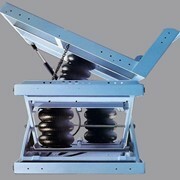 Most models are even available in heavy duty versions if intensive operation is planned for them. Greater functionality can be achieved with the help of various accessories. 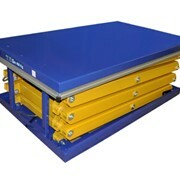 A few examples of accessories for this product group are various chassis frames, guard rails, gates, loading flaps, limit switches, as well as different types of control unit. Before deciding which model and design is required consider all conditions. Most models for intensive use can be manufactured in HD-version. Total Lifting Solutions brings suppliers and end users closer together by working closely with both to satisfy our customers requirements. Neil Harradine has been involved in the lifting and materials handling field for 28 years since starting with Crown forklifts in 1979. 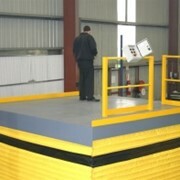 Over the years he has always believed in the importance of a strong relationship being developed with customers. 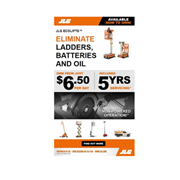 Combining this experience with our list of suppliers Total Lifting Solutions will provide the solution to suit your specific application, from standard product to fully customized Materials Handling Solutions. 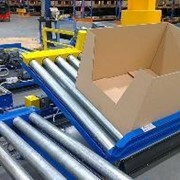 Brands that TLS are proud to supply and support include: Electrodrive, innovative suppliers of electric powered handling solutions. 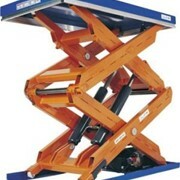 Liftaide, Local manufacturers of quality mini stackers and attachments to suit all requirements. 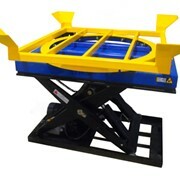 PWB Anchor, suppliers of quality lifting hoists. 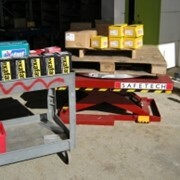 Safetech, Telstra Small Business of the year 2006, local manufacturers of Freight Hoists, crane systems, scissor platforms, stretch wrappers and pallet handling equipment and customised materials handling solutions. 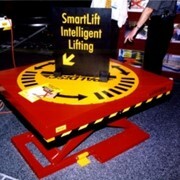 Material Handling, Australia’s Largest supplier of materials handling equipment from Australia and Europe. 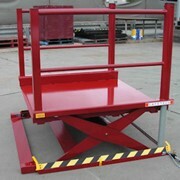 Warehousing Equipment, suppliers of top brands including Rubbermaid, Xilin range of Mobile Lifting Equipment, Prestar and Mystar platform trolleys and the Taylor Dunn range of electric vechiles. Chadwick Forklifts who carry a full range of secondhand forklifts from small battery electric stackers up to large dual fuel and diesel forklifts. 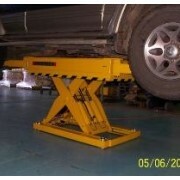 Ram Cycle Engineering, manufacturers of forklift attachments and specialized handling equipment. TLS are commited to developing and adding to the solutions available to its customers, and will continue to update this web site, reflecting our focus on the needs of an ever changing market place. 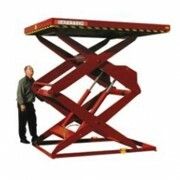 Mention IndustrySearch so Total Lifting Solutions Australia can best assist you! Get a callback from an expert at Total Lifting Solutions Australia to help answer your questions.